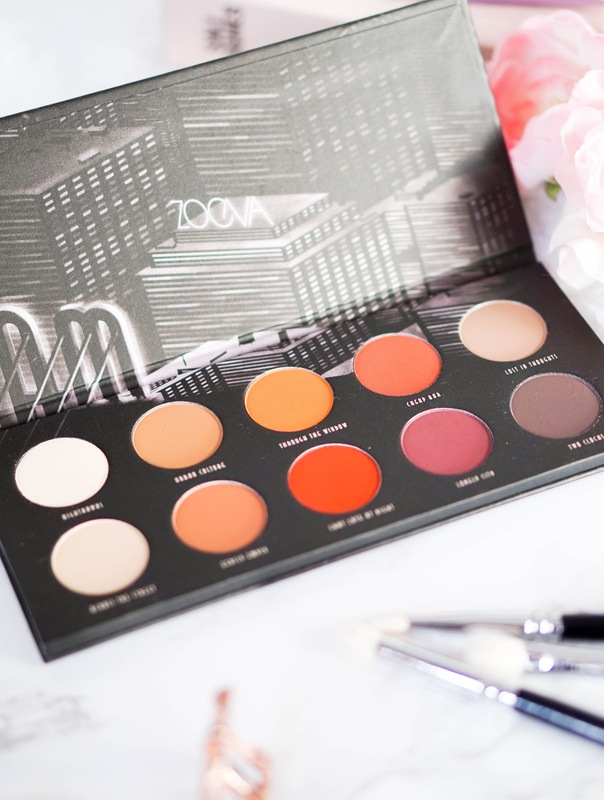 If you're an avid reader of my blog, you will have seen me rave about ZOEVA as a brand time and time again. If you somehow live under a rock (in the nicest way possible) and don't know the brand, let me just quickly tell you a little bit about them before I introduce you to one of their newest makeup releases. ZOEVA is a German based brand that focus on being innovative and modern, not to mention affordable too. They are now internationally recognised for their beautiful makeup brushes and becoming more popular for their makeup range too. For me their eyeshadow palettes in particular are some of the best I have tried, especially when you take into consideration the price. Through the brand's high quality products, you are also supporting women suffering from domestic abuse or the consequences of cancer, which is quite amazing to know. 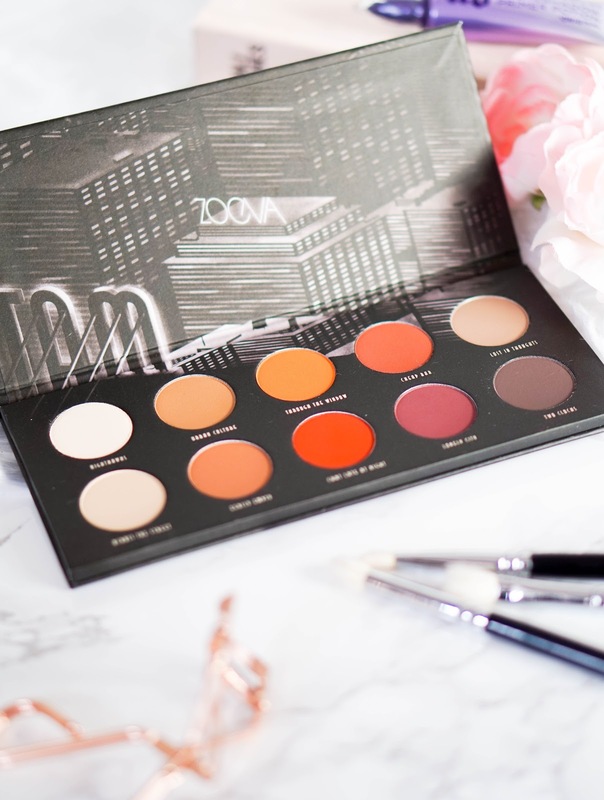 Once you get your hands on Zoeva, you can really appreciate how much detailing, care and passion goes into their products. Hence why I was so impressed with the Zoeva Matte Palette from the very first moment I got my hands on it. 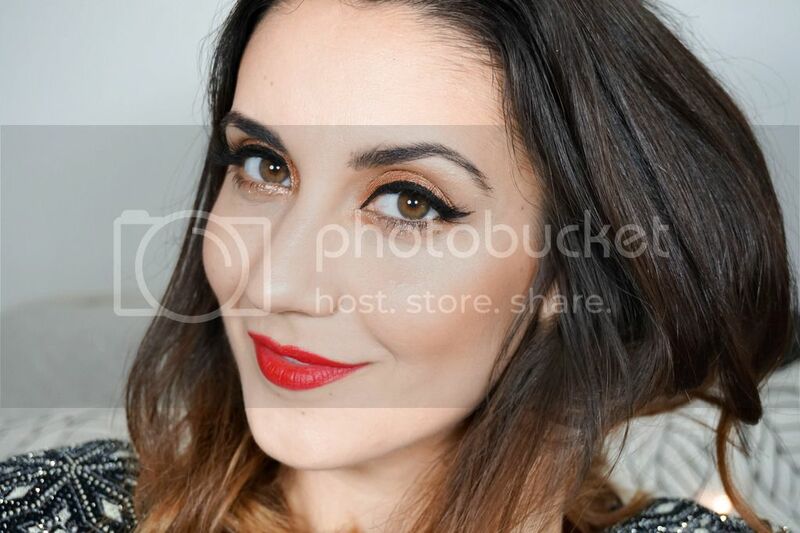 I quickly introduced you to the palette in my latest post, all about an all mate makeup look, so you can see it in action there. Today however I wanted to review the palette in more detail, as I've had the chance to use it a couple more times. 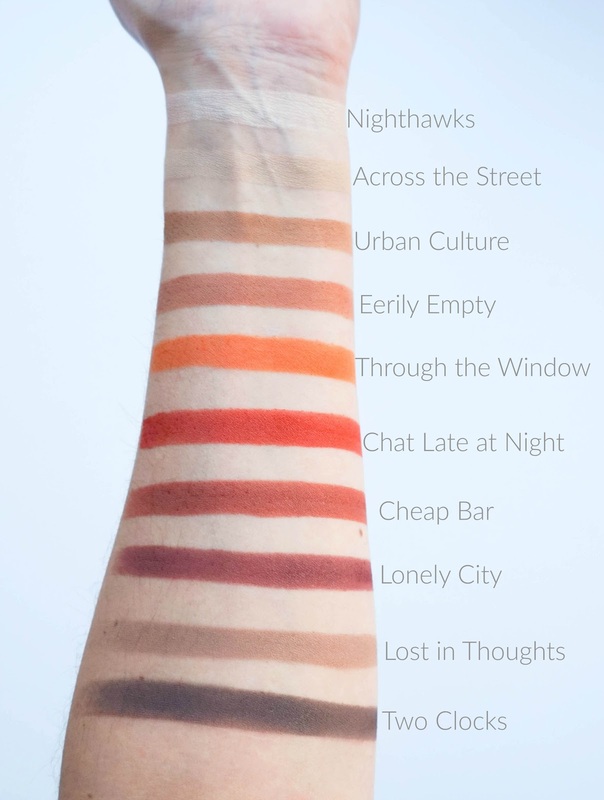 I also wanted to show you swatches of each shade within. 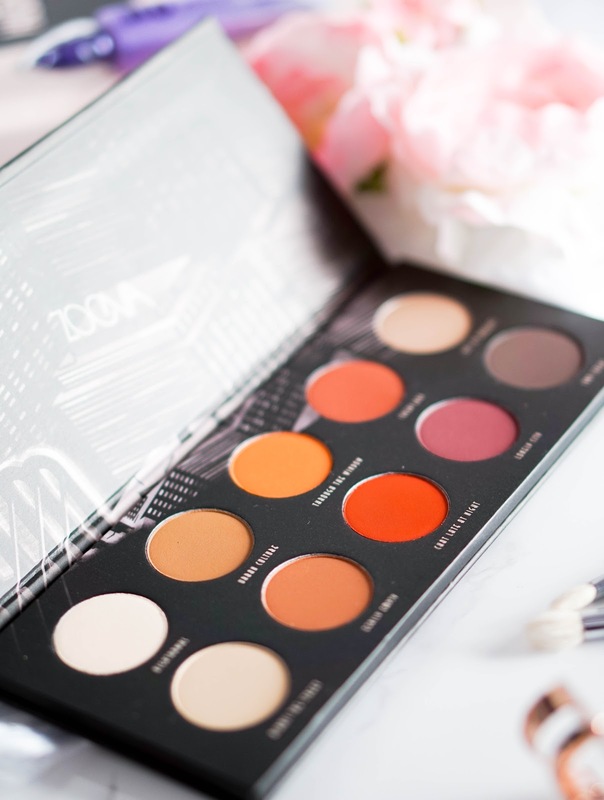 Even though I have loved previous palettes from Zoeva, I was actually quite curious to see if the quality of this all matte palette would be as good. Great matte eyeshadows are definitely not easy to find especially at such budget price. Not forgetting that matte sometimes means that the shadows will dry, chalky and not the easiest to blend. 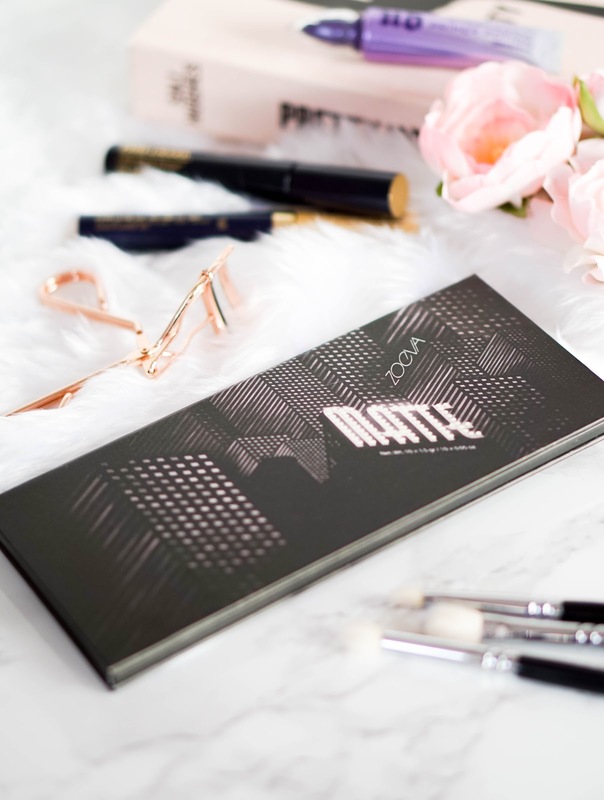 However that is definitely not the case for the Zoeva Matte Eyeshadow Palette. Nighthawks - a light warm beige (probably my least favourite in the bunch). Across The Street - a soft yellow beige. Urban Culture - a muted warm medium brown (perfect crease blending shade). Eerily Empty - a muted warm orange medium brown (again great as a transition shade). Through The Window - a vibrant warm medium orange (love this so much, absolutely stunning). Chat Late At Night: a darker reddish warm copper (this is my most favourite shade, so pretty and unique to anything else that I own). Cheap Bar - a muted warm reddish brown. Lonely City - a deep warm reddish plum. Lost In Thoughts - a yellowish lighter warm brown. Two Clocks - a deep taupe neutral brown.